There is a widespread belief that sugar is the sole cause of diabetes. After all, the disease is characterized by high levels of sugar in the blood. Diabetes was first identified through a sweet smell in urine, and it later became apparent that sweet, sugary urine signified a high level of blood sugar. Over time, diabetes treatment has swung from eating primarily sugar (to replace what is lost), to avoiding sweetness (to limit high sugar levels). Type 1 diabetes is an autoimmune disease in which genetics and environmental factors interact. 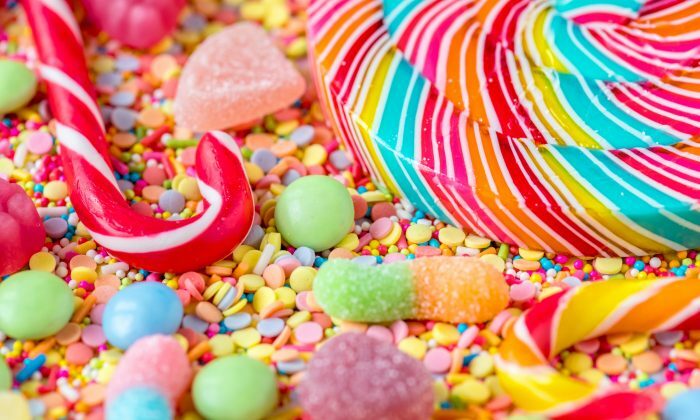 Some research suggests that sugar intake may play a role in the development of Type 1 diabetes, but the research isn’t conclusive. For Type 2 diabetes, a diet high in sugar could, in principle, influence or accelerate the progression of the disease, depending on the pattern of consumption. But to suggest that dietary sugar might cause or contribute to Type 2 diabetes needs strong scientific evidence that demonstrates that either sugar increases body weight and body fatness (necessary for Type 2 diabetes), or that sugar has some kind of unique effect that leads to Type 2, irrespective of weight or body fatness. What most people understand to be sugar is sucrose: a mix of glucose and fructose. A common misunderstanding is that blood glucose is derived solely from dietary sugar. Almost all of the sugar in the body, including the blood, is in the form of glucose—one of many sugars belonging to the family of carbohydrates. Sugars typically form a small part of the diet and not all of them are equally effective at increasing blood glucose levels. Other carbohydrates, as well as fats and protein, influence glucose levels, too. Animal studies show that high-sugar diets lead to rapid weight gain and impair the body’s ability to effectively regulate blood glucose. But these effects are mainly due to the fructose component of sucrose and not glucose. In people, diets high in sugar have also been shown to increase weight as well as risk factors for cardiovascular disease. But these effects only seem to occur when calories are not being controlled; simply exchanging extra sugar with calories from another source won’t prevent these negative effects. Also, observational studies have failed to show a harmful association between dietary sugar and Type 2 diabetes. Type 2 diabetes has arisen through rising body weights. Fatter people eat more of many things—not only sugar—and extra calories from any nutrient will lead to weight gain. Most sugary processed foods, such cakes and chocolate, contain large amounts of fat, which contribute heavily to the calorie content. Recently, the debate has turned to sugar-sweetened drinks, such as fizzy drinks. Sugars in drinks are less satiating than sugars in solid foods, and this may drive our appetite to eat more. Sugary drinks have been linked to Type 2 diabetes, independent of body fatness. But so have artificially sweetened, low-calorie drinks. Fruit juices, though, have not been linked to Type 2 diabetes, despite having similar sugar content to fizzy drinks. There is nothing special about sugar that sets it apart from other foods, and sugar does not cause Type 2 diabetes on its own. Generally, people eating lots of sugar tend to have poorer diets and unhealthier lifestyles. These, as well as other factors including urban growth patterns, the built environment, the food environment, stressful jobs, poor sleep, and food pricing probably contribute more to the rising incidence of Type 2 diabetes than dietary sugar. Matthew Campbell is a senior lecturer in human exercise nutrition at Leeds Beckett University in England. This article was originally published on The Conversation.